After waiting nine years to make his case against the federal government, Abousfian Abdelrazik will have to stay patient a while longer. The Montreal man's lawsuit over Canada's role in his imprisonment in Sudan will be indefinitely delayed after a judge agreed to the federal government's plea for postponement. After waiting nine years to make his case against the federal government, Abousfian Abdelrazik will have to stay patient a while longer. 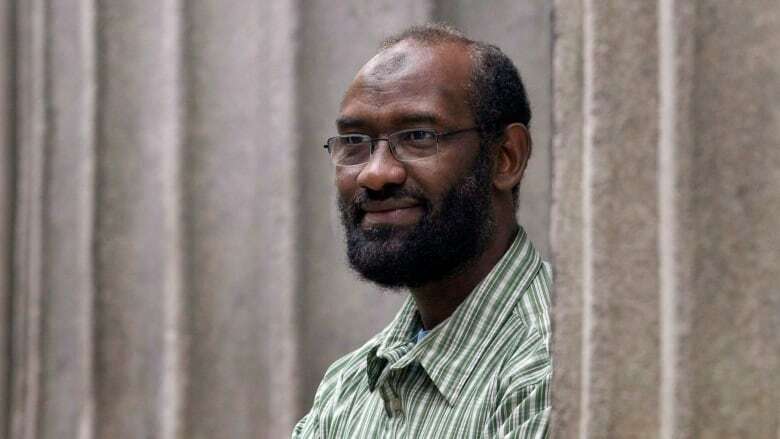 The Montreal man's lawsuit over Canada's role in his imprisonment in Sudan will be indefinitely delayed after a judge agreed to the federal government's plea for postponement. In a ruling Tuesday, Federal Court Justice Martine St-Louis said she "reluctantly" recognizes the trial must be adjourned pending a review of evidence disclosed to date. St-Louis was set to begin hearing testimony this week in the civil suit Abdelrazik filed in 2009 against the government to win an apology and compensation for his overseas ordeal. But last week the Justice Department advised Abdelrazik it would seek an adjournment to ensure the most complete record possible is available to the court, given the passage of time. St-Louis's decision adjourns the trial, until further order from the court, while the review of emails, memos and other documentation proceeds under the Canada Evidence Act. However, pre-trial motions can be heard. Given the lateness of the federal request, she granted Abdelrazik's legal team "all costs in preparation of the trial that have been thrown away" as a result of the adjournment. Abdelrazik's lawyer, Paul Champ, called the decision to postpone the trial a disappointment, but adds his client has faith that justice will be done — however long it takes. Responsibility for the latest delay lies not with the court but with the Liberal government and attorney general, who are "playing games" with Abdelrazik, Champ said. Abdelrazik, 56, was arrested during a 2003 visit to Sudan to see his ailing mother. He was interrogated in custody by the Canadian Security Intelligence Service about suspected extremist links. Abdelrazik, a Canadian citizen who denies any involvement in terrorism, also says he was tortured by Sudanese intelligence officials. Federal officials maintain they knew nothing of the alleged abuse. In 2009, a Federal Court judge concluded CSIS was "complicit" in Abdelrazik's detention. The judge also found that, by mid-2004, Canadian authorities had determined they would not take any active steps to assist Abdelrazik's return to Canada, and would consider refusing him a passport in order to thwart his homecoming. Alex Neve, secretary general of Amnesty International Canada, accused the government of disgraceful behaviour in delaying the trial. "The obvious effort to further delay this case is as cynical as it is shameful," he said in a statement. "It is a tremendous blow to justice, denied for so many long years tor Abousfian Abdelrazik. It is a move which undermines the protection and respect of human rights to which all Canadian citizens are rightfully entitled." In the House of Commons, New Democrat MP Linda Duncan called on the government "to end its obstructive tactics" and provide Abdelrazik with redress.